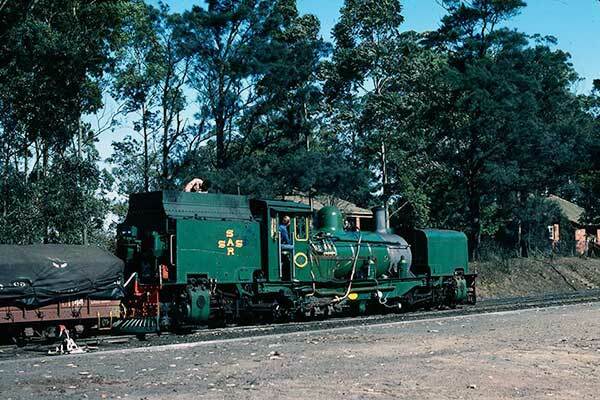 Caption - July 1979 saw SAR "baby" Garratt NGG16 class no.110 in green livery at Ingolwezi heading back to Port Shepstone from Harding. I prefer these locos in black. Note the resident coal pusher in the tender.